Listed below is an update of some families we have been helping since our last report in December. Elliot was first diagnosed with Acute Lymphoblastic Leukemia, at age 7, in the spring of 2015. The Foundation paid one months’ mortgage payment at that time. Sadly, we were contacted again in November 2017 with the news of his relapse and need for additional treatment, at Hershey and CHOP. This time, the loss of wages will be greater for his adoptive parents and five adoptive siblings while treatment is ongoing. The Foundation will cover the family’s mortgage for four months while Elliot receives treatment in Philadelphia. Salma, age 14, lives in Camp Hill with her parents and two younger siblings. The Foundation assisted the family financially when she was diagnosed early in 2016 with metastatic Ewing’s sarcoma. She was doing well off treatment until September 2017 when the tumor in her chest reappeared. Salma began experimental treatment but her tumor has begun to grow more aggressively. She was hospitalized in January 2018 and the Foundation was contacted to supply some help with mortgage and utility payments. We often hear amazing stories about the local communities as well as family and friends who pitch in to help the families who are referred to us. Such is Riley’s story; a 5 year old who was diagnosed in April 2017 with Stage IV neuroblastoma. He immediately began intensive treatment, including chemotherapy, radiation, surgery and a stem cell transplant. Although Riley’s mom had to quit her part time job to care for him and his younger brothers, dad was able to continue working and the family managed pretty well financially until this January. The Foundation will cover the family’s mortgage payment for the next several months so they can better cover their other expenses and focus on Riley’s treatment. In December2017, the Foundation was contacted about 3 year old Weston who was diagnosed nearly a year earlier with rhabdomyosarcoma, a type of childhood bladder cancer. During that year, Weston was treated at Hershey and CHOP which resulted in uprooting the family for several months while his mother was also caring for a newborn and another younger brother. All these factors caused the loss of mom’s income. The family did not utilize any offered financial assistance and managed to cover expenses on dad’s income. They were finally forced to refinance their home or be subject to losing it. The Foundation will cover their mortgage for several months to help them get back on their feet. Sometimes, we are contacted by a family we have assisted about someone they know who might benefit from our help. When that happens, we contact the social workers at Hershey to determine if there is a need. This is how we came to learn about Noah, a 6 year old boy diagnosed with diffused intrinsic ponte glioma, a type of childhood cancer that unfortunately does not have a cure. Noah lives with his parents and two older brothers and will undergo a course of physically tough palliative radiation therapy. While both parents are employed full time, lost wages will become an issue when one or both parents need to miss work to care for their son. The Foundation will pay the family’s mortgage for several months so mom and dad can concentrate on Noah’s care. These updates illustrate the love, courage and commitment that friends and families often exhibit in their support of the children in our area afflicted with cancer. Often though, more help is needed to cover all sorts of household expenses that can be as vital as keeping the electricity on or ensuring these families can remain in their homes. 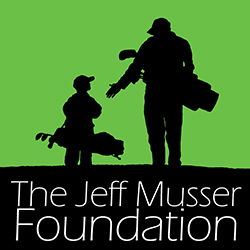 Your continued generosity in support of the Jeff Musser Foundation makes a tangible difference to these families. Every contribution helps and we most sincerely thank you!